With more than 30 years of combined experience among them, our attorneys have the knowledge and resources necessary to handle any client's case no matter the circumstances or complexities involved. Through our extensive trial experience and skillful settlement negotiations, we fight aggressively to secure the maximum amount of compensation possible for our clients. By using innovative strategies, our law firm has obtained millions of dollars for individuals and their families. When working with our law firm, you will work directly with an attorney who has your best interests at heart. Our attorneys are dedicated to pursuing justice on your behalf, and we strive to not only meet your needs but to exceed your expectations. 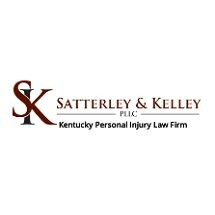 If you or a loved one was injured or killed as a result of someone else's negligence, you can trust Satterley & Kelley PLLC to advocate on your behalf and fight for the compensation you need to help with your recovery. To find out how we can best help you in your time of need, you can contact our office to schedule a free initial consultation.